Thunderstruck 2 slot: Play For Free With No sign-up! 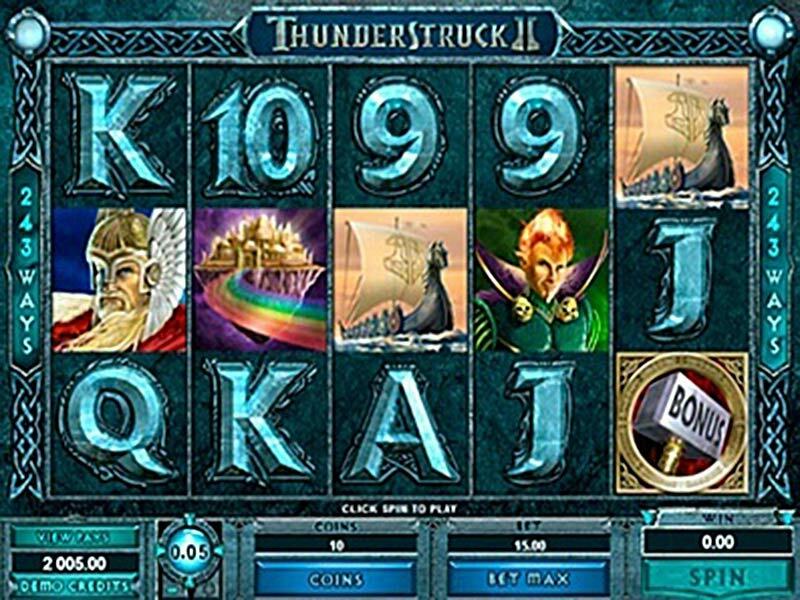 The Thunderstruck slot machine is a premium game created by Microgaming, one of the leading software providers in the online gambling industry. The slot is inspired by stories of Nordic gods and goddesses and, if you’re a fan of Loki, now is your chance to see a different version of this character. Like most well-developed slots with a complex gameplay, Thunderstruck ii slot has a 5x3 reel grid and an impressive amount of paylines. There are 243 ways to win and even the most experienced players will enjoy the thrill of coming up with a winning strategy. Unfortunately, for the less experienced players, there will be no alternative. The game does not offer flexible paylines and beginners might have a hard time at first. There are multiple coin choices, the smallest amount being 0.01 and the maximum is 0.25. In addition, the Coins button allows you to choose up to 10 coins per line, making a maximum bet of 300. Since this is a deposit free game, you’ll only be playing with demo coins. Oddly enough, even if Thunderstruck slot is such a well-developed game, it lacks an autoplay option that some players find essential. With this one, you will have to spin the reels yourself every time you wish to start a new round. It might not seem this way, but it can get quite annoying especially if you wish to multi-task and keep the game running. All of these characters are designed with lots of details and eye-catching animations that will keep the players hooked to the game. Thor’s hammer is also displayed and when you find five of a kind, you will receive 200 extra coins. 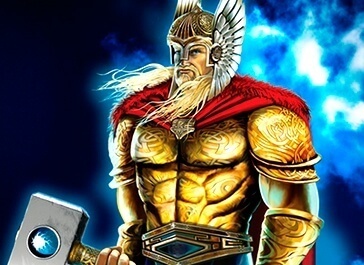 The Vikings shipped is worth 250 coins and the logo of Thunderstruck ii slot is worth 1000 coins but it also represents the Wild symbol that may substitute all other elements of the game. Is Thunderstruck slot worth playing? The short answer will be “yes”! This magnificent game successfully combines impeccable visual effects with an interactive gameplay that could represent a challenge for any type of player. It would honestly be a shame not to give this slot a chance given the fact that it’s free and there’s no need for any download or registration. Thunderstruck ii slot is, without a doubt, a game that’s worth your time!